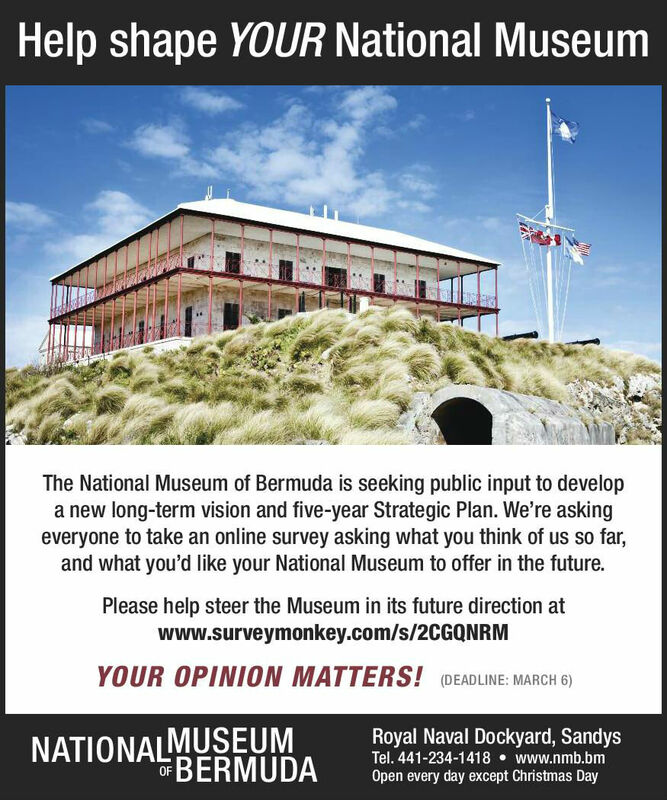 The National Museum of Bermuda [NMB] is seeking the public’s input to develop a new long-term vision and five-year strategic plan to help shape its future and ensure it remains relevant to Bermuda and the community it serves. As part of an island-wide consultation process, the museum has launched an online survey to get feedback from the public. The survey poses a series of questions that relate to visitors’ backgrounds, if and how they have used the museum, their impressions, and what they would like to see and learn about at the institution. NMB Curator Elena Strong said, “Now that we are the National Museum, the scope of the Museum has expanded to encompass all aspects of Bermuda cultural heritage — not just maritime history – and we need the public’s help to guide the focus, priorities and long-term vision. The National Museum of Bermuda is a non-government, non-profit Bermuda Registered Charity [No. 136], established in 1974 as the Bermuda Maritime Museum. In 1978, an Act of Parliament formally acknowledged the Museum’s aims: to promote, collect, preserve, research and exhibit Bermuda’s maritime history and restore the buildings of the Keep [the Dockyard fortifications]. A spokesperson stated, “Since then it has grown from a volunteer-run 10-acre derelict site to a 16-acre museum and research facility run by professional staff with restored historic buildings housing exhibits related to Bermuda history and culture, as well as a dedicated artifact conservation lab, a publishing house and a collection of more than 75,000 objects. The survey is available online, with a deadline of March 6, 2015. For more information, please contact curator@nmb.bm. Thank you National Museum of Bermuda!